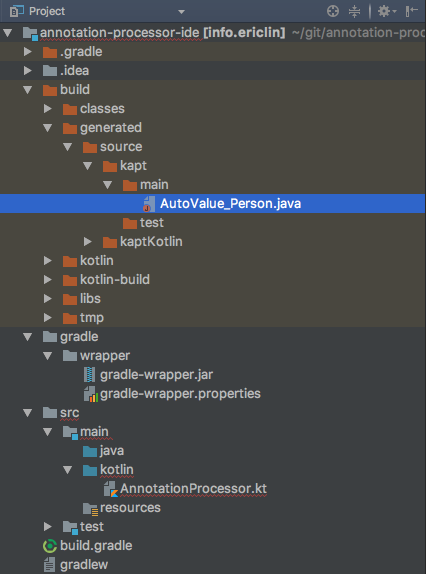 Not long ago I wrote a post about why I am still using autovalue in Kotlin projects Why converting Autovalue class to Kotlin data class may not be “pragmatic” for JSON models at this moment. Serialization available in version 1.1.50, and it support various formats, including JSON. 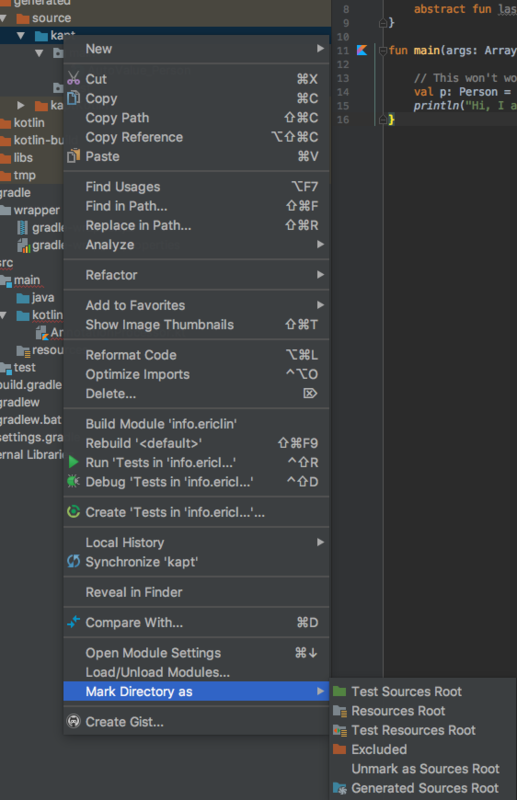 The problem here is when you “build” the project, IntelliJ does NOT use the same settings you configure in build.gradle. You must to configure the annotation processor manually, which can be awkward to setup and I could not get it to work properly. Instead there’s a much simpler trick you can do: Just tell IntellJ to use gradle for your build process! 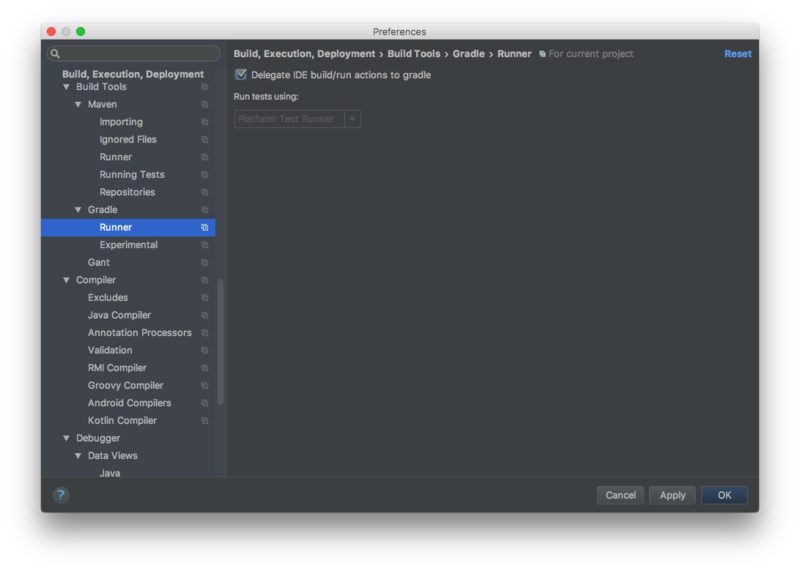 In Build Tools -> Gradle -> Runner, you can tick the setting Delegate IDE build/run actions to gradle so that IntelliJ will use gradle for your project. However the file we need AutoValue_Person.java is still not recognized as the source file by the IDE. 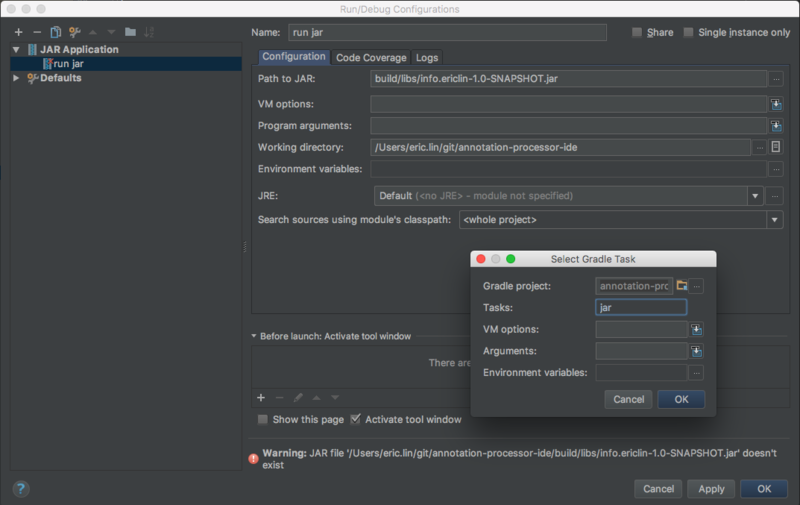 By doing so the IDEA plugin will configure IntelliJ to treat those two directories as normal source directories. 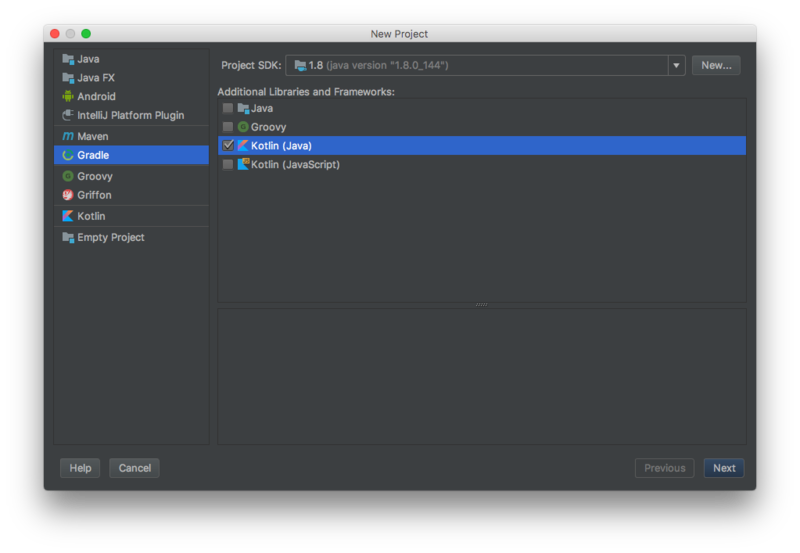 Now you should be able to compile the project in IntelliJ without any compilation errors. However wouldn’t it be nice if we can run and debug the output jar file in the IDE as well? Once the run configuration is set, you should be able to click on run or debug for your compiled jar file inside the IDE!